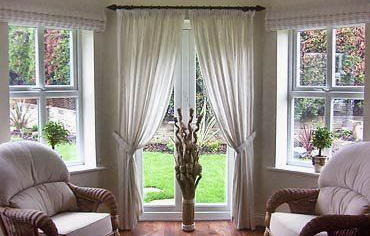 Reenex Curtain Design is a professional manufacturer and exporter of many kinds of window covering products. With objective of bringing together more resources through a large network in order to provide more comprehensive services, Reenex Group was established. We specialized in manufacturing distributing variety of resort styles Indoor and Outdoor Window Covering Product Series.We focus in producing high quality, diversity categories of exceptional stylish window covering product series. Our Window covering product series are made from superior materials, which are superb for both interior and exterior use. With its distinctive full range of specifications, elegant, graceful with novelty design and patterns, window covering product series could match any combination of outdoor and indoor upholstery and enhance the ideal nature lifestyle. Reenex believe in sharing our experience with customers to create the fineness lifestyle. Currently, we are one of the main manufacturers in Johor and Singapore. We have proven prestige records and precious experiences by serving number of families, hotels, resorts and organizations. Reenex are keen to explore new business opportunity around the world. Enquiries from local or abroad retailers, wholesalers, importers, exporters, organizations and even home users are most welcome. In addition, we are also offering attractive offers and exclusive export conditions for any export opportunities in order to establish long-term mutual beneficial business relationships.